At One Rehab we appreciate how important a good night’s sleep is! That is why all our mattresses are carefully hand-made to the highest standards, using only the finest materials and are designed and manufactured to be fully compatible with the extreme demands of a profiling bed. 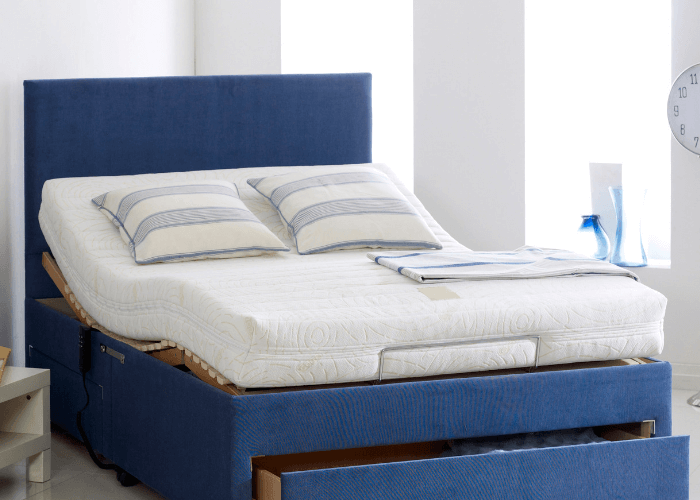 We offer 5 mattress types, each with a different firmness indicator, so are able to cater for everyone’s tastes. 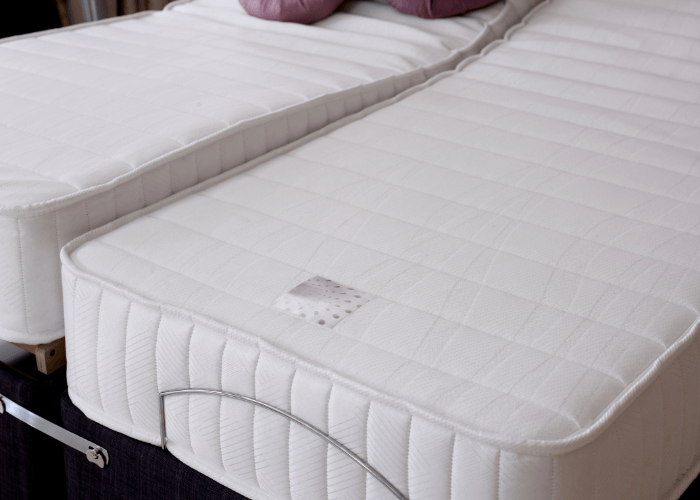 Our Sandringham Pocket Sprung Mattress is specifically designed for profiling beds. Each coiled spring is individually pocketed in quality calico to allow for independent movement of the springs during profiling action. The sides of the mattress are also contained with high quality webbing helping to create the flexibility a profiling mattress requires. The Windsor Memory Foam Mattress contains the high quality Venteel memory foam carefully layered over a supportive firm foam base. The ideal choice for those requiring a firm mattress, also with pressure relieving qualities. 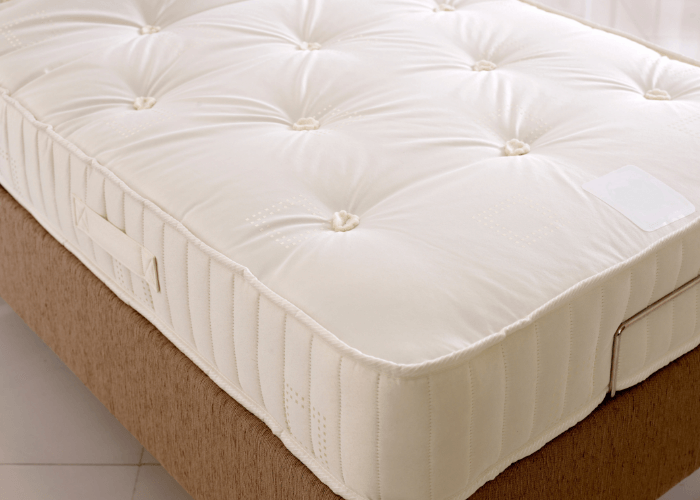 The Kensington Pocket Sprung/Memory Foam Mattress is consistently our best selling mattress! 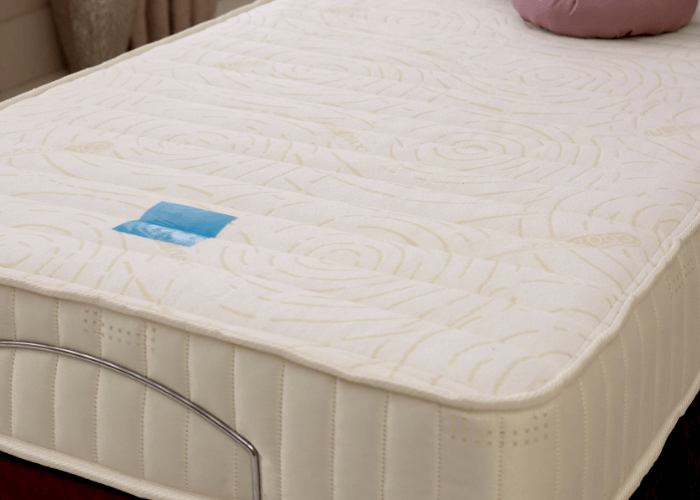 The perfect choice for customers looking for a soft mattress with pressure relieving qualities. 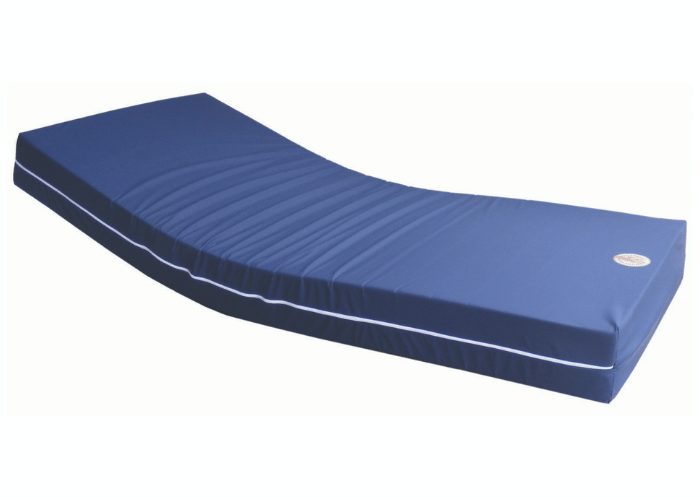 Our Hyperfoam castellated pressure mattress has been developed for users who have a high risk of pressure sores. The three-layered Hyper-elastic foam core and castellated out foam also provides relief for users suffering with back pain and sciatic pain. Supplied as standard with VP fully Waterproof and breathable cover. Some mattresses can be zoned. Edge zoning is the most popular type; the outside edge of mattress is firmed making it easier for user to transfer from and to bed whilst leaving the centre of mattress softer for sleeping. 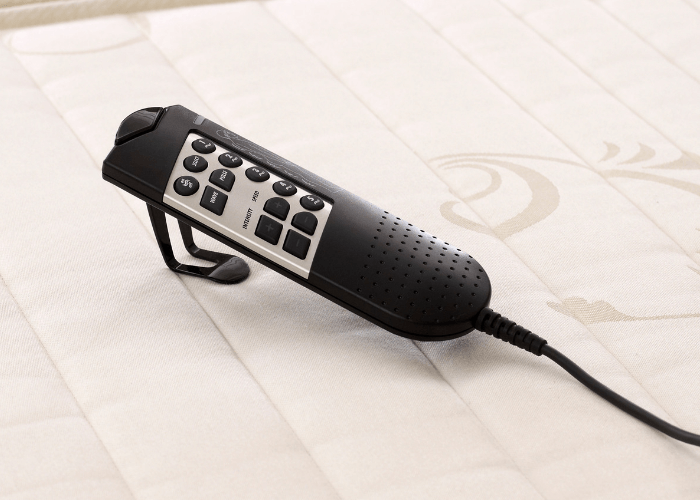 The multi-massage™ system gently vibrates over the whole surface of the mattress, creating a soothing relaxing effect. Benefits include tension relief, boosted circulation and muscle relaxation. The 5 point system is adjusted by the handset providing any combination of wave patterns and active zones. Massage is available on the Windsor, Balmoral and Kensington memory foam mattresses, in all sizes. We offer two choices of waterproof covers. Both manufactured in breathable, anti-bacterial material.